Part of the promise of the Assassin's Creed serires is being able to hop through different time periods. To be able to jump to certain parts of history, murder the inhabitants, and parkour everywhere. It's a beautiful dream that drives my love of the series. The first game took you to the Middle East during the Third Crusade; Ezio began in Italy, but also traveled to Constantinople; Connor had the early American colonies as his stomping ground; and ACIV's Edward Kenway will take us to the Caribbean. So what's next for the series? Assassin's Creed IV: Black Flag creative director Ashraf Ismail told the Examiner that he wants to the series to head to Egypt next. "I would say one of the best things we have going for us is how we can play with history," said Ismail. "History is something that is rooted in all of us; we all have a deeper connection to it. So there's a lot of interesting periods and time places we haven't been to that I would to see." 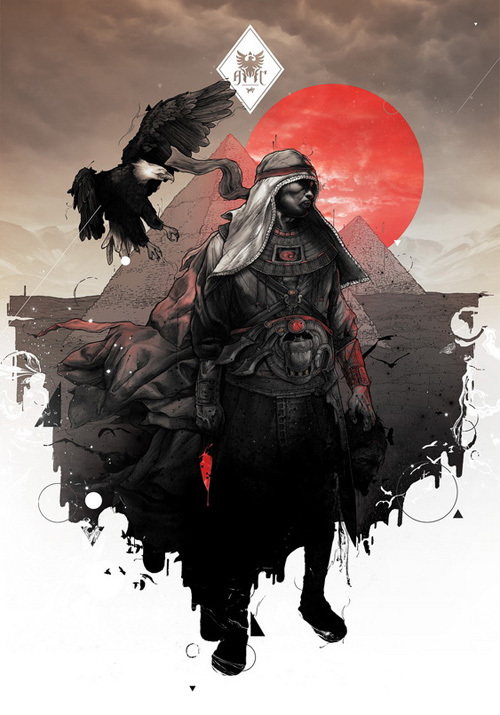 Official Assassin's Creed artwork by Polish artist Gabz. "I'm not saying we are going there, but one day I would love to explore Egypt as a setting for this game. Ancient Egypt could be a really cool place. We have a really cool explanation for how we can do this, and it is with this Animus device that allows us to go to anytime in history." Of course, this won't necessarily be the next game. The team at Ubisoft Montreal who led the development of Assassin's Creed IV began their work in mid-2011. The next Assassin's Creed is already under development at Ubisoft Toronto, the company confirmed to Polygon. Assuming the same two-and-a-half year development cycle after getting out all the DLC, Ismail's team would be working on the Assassin's Creed for release in 2016. "It was never a set rule that we always get closer to the present day," Ismail added. "We were a bit surprised by people who saying, 'how do you go back in time, how's that possible?' It's that Animus device we have. But again, I'm not saying Egypt is where the next one is going, it's just where I would like it to go." I admit I'm partial to Imperial China and the Sengoku Era of Japan as settings for further AC games. In fact, the Ubisoft-produced animated short film Assassin's Creed: Embers also featured female Chinese assassin Shao Jun. Where would you like to see Assassin's Creed go in the future?